Influenza, the virus that causes the flu, is one of the most common infectious diseases. 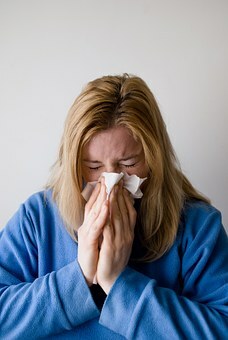 Influenza or the flu is a contagious viral infection that attacks your nose, throat, and lungs. ..., to top virology experts with one goal: to design the vaccine for the next flu season. Vaccines for diseases like mumps and rubella offer a lifetime of protection with two shots early in life. Two factors make the flu a tough target. First, there are more than 100 subtypes of the influenza virus, and the ones in circulation change from season to season. Second, the flu's genetic code allows it to mutate more quickly than many other viruses. The flu spreads by turning a host's own cells into viral production factories. ..., copies the host's genes starts replicating viral genes instead, creating more and more copies of the virus. 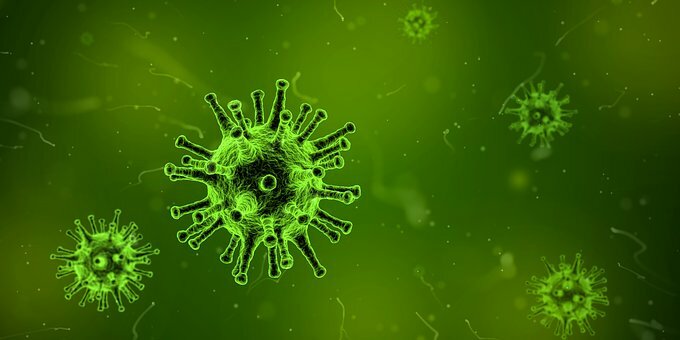 New viruses are repackaged and crammed into the cell until it bursts, sending freshly minted influenza viruses out to infect additional cells. Most viruses follow this script. The trick with the flu is that its genetic material isn't DNA but a similar compound called RNA. RNA viruses can mutate much faster. When cells synthesize DNA, a built-in proofreader recognizes and corrects mistakes, The RNA synthesis mechanism doesn't have this fail-safe. If errors creep in, they stick around creating new variants of the virus. vaccines depend on recognition. The flu vaccine includes some of the same substances, called antigens, found on the surface of the virus itself. The body identifies those fragments as foreign and responds by producing compounds called antibodies, tailor-made to match the antigens. When a vaccinated person encounters the actual virus, the preprogrammed antibodies help the immune system identify the threat and mobilize quickly to prevent an infection. ..., those rapid genetic mutations can change the surface compounds enough that the antibodies may not recognize them. To make things even more complicated, sometimes two different strains combine to create an entirely new hybrid virus. All of this makes vaccinating for the flu-like trying to hit a moving transforming target. Scientists are constantly collecting data about which strains are circulating and checking to see how much those strains have mutated from previous years' versions. Twice annually, the World Health Organization pulls together experts to analyze all that data, holding one meeting for each hemisphere. The scientists determine which strains to include in that season's vaccine, picking four for the quadrivalent vaccine in use today. In spite of the flu's evasive manoeuvres, in recent years, the group's predictions have been almost always correct. Even when flu strains mutate further, the vaccine is often close enough that a vaccinated person who catches the flu anyway will have a milder and shorter illness than they would otherwise. Vaccination also helps protect other people in the community. Who may not be medically eligible for the shot by preventing those around them from carrying the virus. called herd immunity. The flu shot can't give you the flu. It contains an inactivated virus that isn't capable of making you sick. You might feel tired and achy after getting it, but that's not an infection. It's your normal immune response to the vaccine. Some parts of the world use, instead of a shot, an inhaled vaccine that contains a weakened live virus. This is also safe for the vast majority of people. Only those with impaired immune systems would be at risk, but they're typically not given live vaccines. Scientists are working to develop a universal flu vaccine that would protect against any strain, even mutated ones. But until then, the hunt for next year's vaccine is on.